The two listed supermarket plays - Dairy Farm International and Sheng Siong Group - have averaged 2.9% gains since the end of April. This has taken their average 2018 year-to-date total return to 12.3%. Dairy Farm International joined the MSCI Singapore Index effective 1 June. For the 2018 year through to 15 June, Dairy Farm International was the recipient of overall institutional net inflows totalling S$26.4 million while Sheng Siong Group was the recipient of net institution inflows of S$62.4 million. The five largest capitalised Restaurant stocks - BreadTalk, Kimly, Jumbo Group, Old Chang Kee and Japan Food Holdings have averaged 1.7% gains between 30 April and 18 June, bringing their average year-to-date total return to 6.6%. Note this does not include ABR Holdings which has comparatively inactive trading. Since the end of April, the U.S. Dollar Index has strengthened from 91.8 to 94.8, with the 3.3% gain on the back of increased trade tensions between the U.S. and China, more focus on U.S. inflation and political uncertainty in Europe. On the other side of the coin, IMF MD Christine Lagarde reiterated last week that U.S. growth is stronger and within the next few years, the U.S. economy is expected to enter its longest expansion in recorded history. The preceding week also saw the World Bank maintained its 2018 global growth forecast made back in January at 3.1%, at the same time noting the risks that broad-based increases in tariffs would have on global trade and economic activity. Since the end of April, these concerns for free trade and higher US Dollar has had a broad impact on the region. Singapore’s broad FTSE ST All Share index has declined -6.6% from the end of April through to 18 June. This has brought is 2018 year-to-date decline for the broad Index, which includes constituents of the Straits Times Index, ST Mid Cap and ST Small Cap indices, to -1.4%. 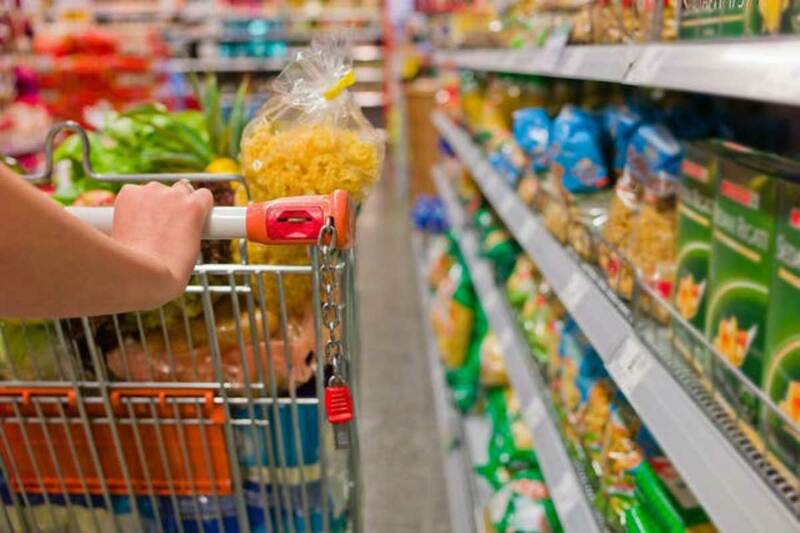 One segment of the stock market that has performed comparatively defensively amongst the broad declines in May and the June month to date have been the largest capitalised retailers of food and beverages (F&B) - in particular supermarkets. Listed supermarkets have also been in the global headlines this year with the biggest supermarket group in the U.K., Tesco, acquiring the UK’s biggest food wholesaler, Booker Group on 5 March. This has been followed by a proposed merger between Sainsbury’s and Asda. The above stocks generally maintain a well-known brands, diversified product lines and comparatively simple supply chains. Jardine Strategic Holdings maintains a 78% stake in Dairy Farm International which made up 26% of its FY17 revenue. In SGD terms, Jardine Strategic Holdings has declined 1.2% from the end of April through to 18 June, bringing its year to date decline in total return to 5.5%. Both Dairy Farm International and Jardine Strategic Holdings are traded in U.S. Dollars. To see more details on each stock in the table below in SGX StockFacts click on the stock name below. Source: SGX StockFacts (Data as of 18 June 2018). *Note ABR Holdings omitted due to less trading activity. Japan Foods Holdings YTD performances based on market close on 22 December 2017 and recent performance from 27 April to 18 June.